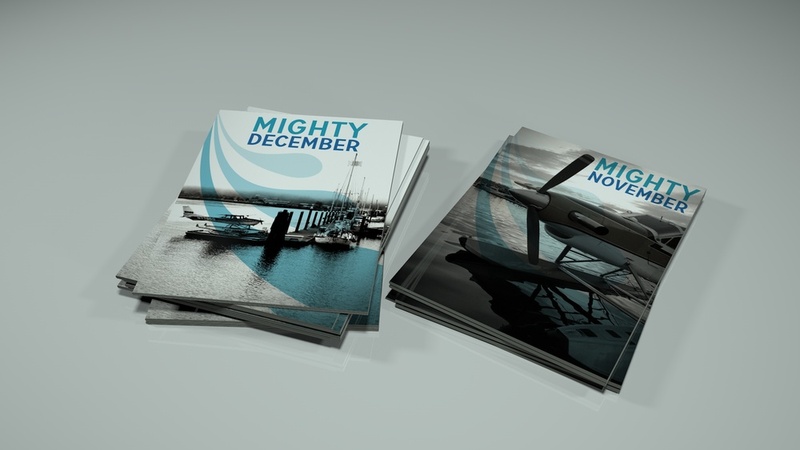 Mighty is a regional airline to serve the coastal areas and islands off the Coast of BC. We plan to service the forest industry, tourists, local residents and offer private charters. With our focus on the coast of bc and islands, and our small planes, we travel at low altitude over some of the most beautiful scenery in North America . Their commitment to service, comfort and safety is our number one priority. We are an alternative to ferries, providing, in most cases, a quicker and more convenient way to travel the Coast and Gulf Islands. We want them to take the scenic route. This is a term 4 Project I did at Digital Design, VFS. It's The Journey That Matters. 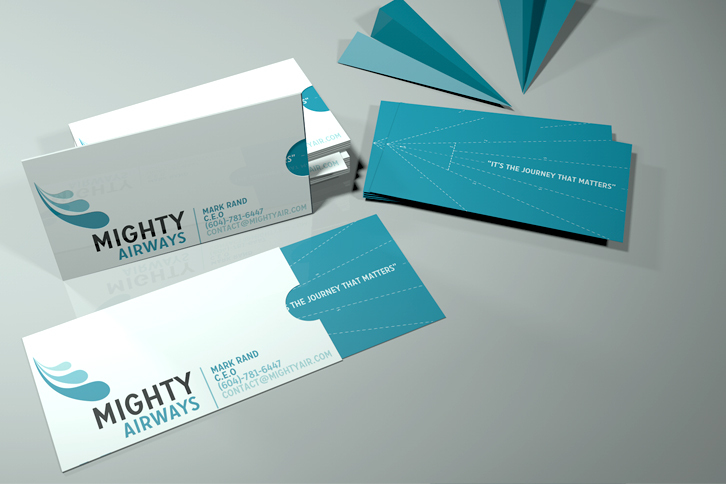 The project included everything from Name, Logo Design, Plane, Passes, Commercial Ads and In-flight Magazine et cetera. 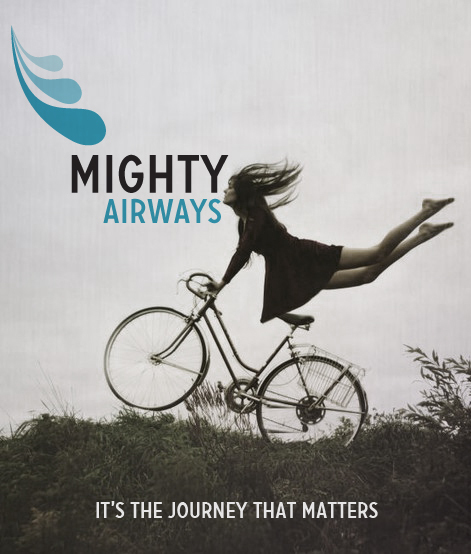 Keeping local residents as a primary target I focused on how to make the experience of flying with the airlines incredible. I came up with a very people oriented campaign and a language style that people will find very casual & friendly. Like the “Woof” campaign about your pets traveling for free and calling, the In-Flight Magazine ”Mighty November” or ”Mighty December” and the playful Business Card. Their commitment to service, comfort and safety is our number one priority. We are an alternative to ferries, providing, in most cases, a quicker and more convenient way to travel the Coast and Gulf Islands. We want them to take the scenic route.